Parish of Enoggera, 1859 | There once was a creek . . . 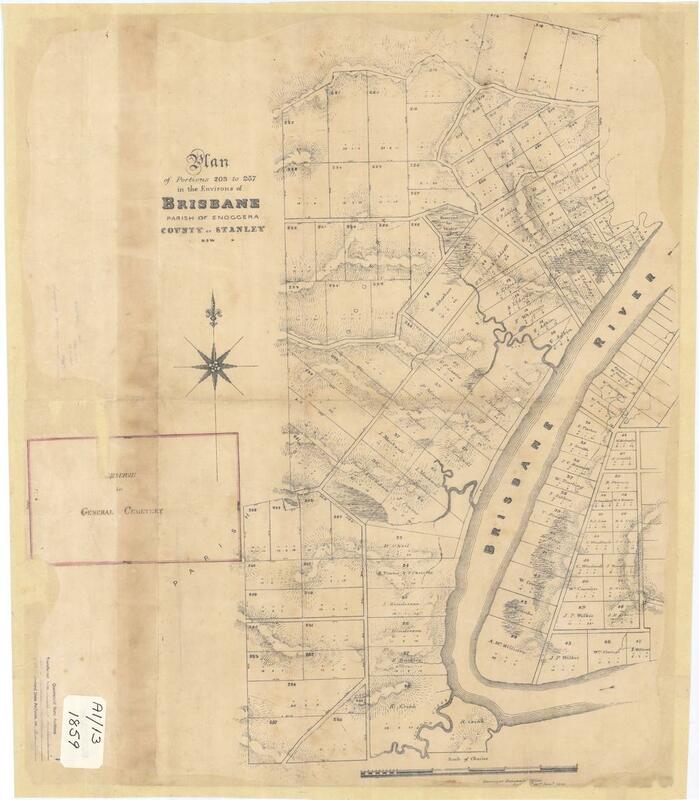 This map from 1859 is held by the Queensland State Archives (Item ID620656) and the State Library (Record 727379). It features excellent depictions of Western Creek, Langsville Creek and Toowong Creek, as well as the lagoon between Cribb Street and Park Road. I have featured it in previous posts and articles including Milton – Brisbane’s western frontier and The lost creeks rise again. You can explore a specially prepared version of this map in the Google Earth window below. Pingback: The broken lands of Toowong | There once was a creek . . .
Pingback: Map Mania! | There once was a creek . . .